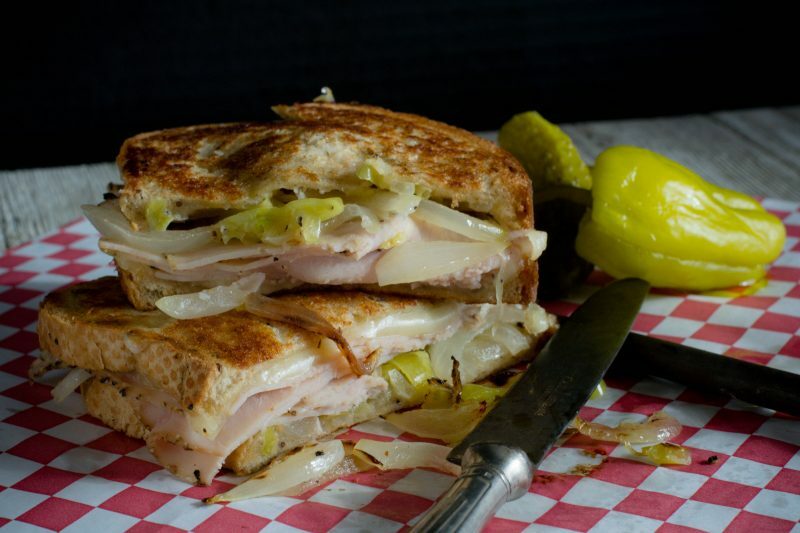 sandwich Archives - What the Forks for Dinner? 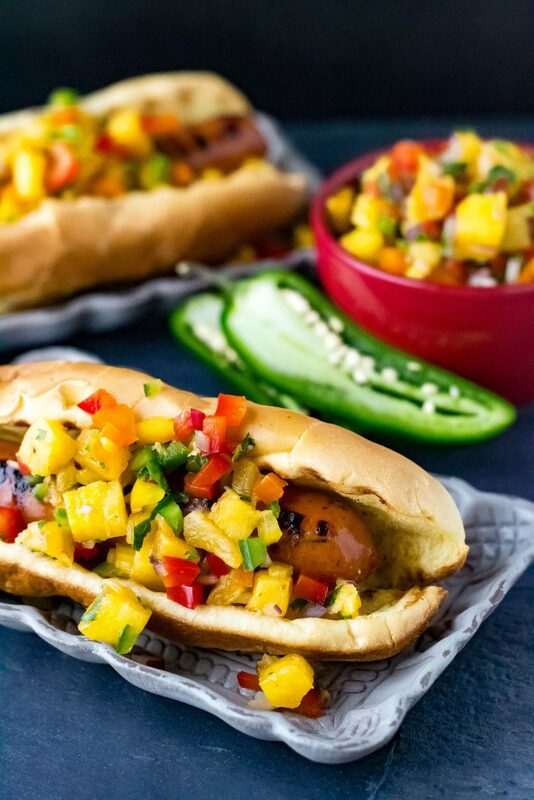 Grilled Aloha Chicken Sausage with Fresh Pineapple Ginger Salsa. Wow is that a mouth full….a mouth full of delicious!! 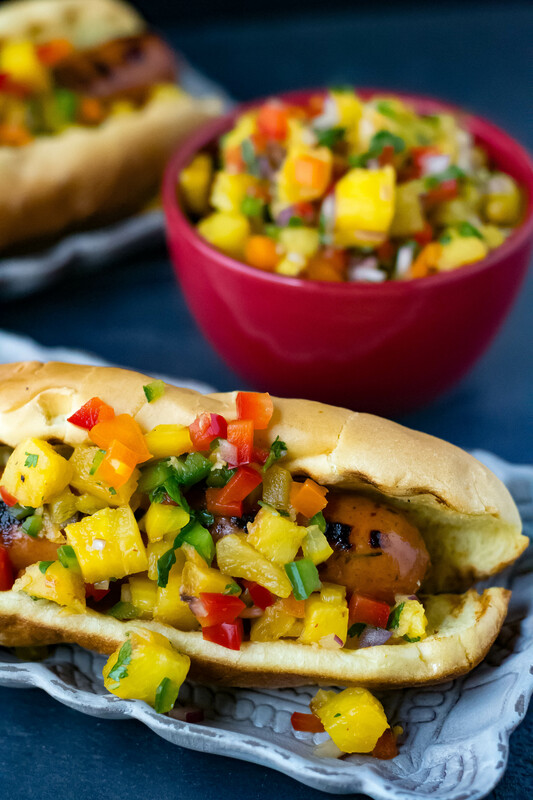 In our last post, we gave you our Fresh Pineapple Salsa recipe. Good for almost any grilled meat or fish, and super yummy on tacos. Grilling season is well underway and we needed a vessel for this fab salsa. Enter Gilbert’s Craft Sausages … first, let me say that I am not getting paid or compensated by Gilbert’s in anyway. I just really love their products and wanted to share them with you!! I am particularly fond of their chicken sausages. Click on the link above to see all Gilbert’s amazing products. 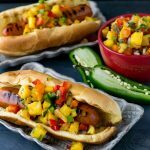 My two favorite are the Caprese Chicken Sausage……I used these in our Italian Sausage Caprese Salad and the Aloha Chicken Sausage. 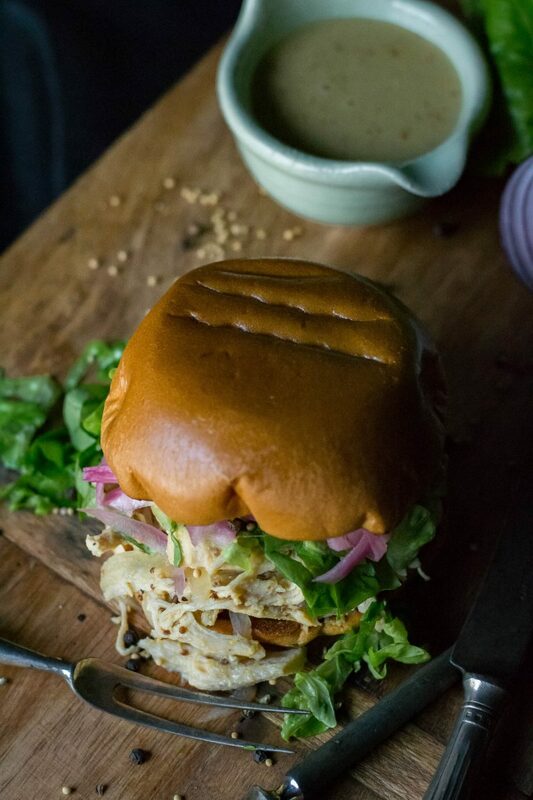 Sweet tropical pineapple, coconut, and hardwood smoked brown sugar work beautifully with the flavors of chicken and ginger. So…….what makes these sausages so great you ask???? First, they are low in calories, low in fat, and full of protein. Second they taste amazing, and the list goes on….. Fully cooked, so you can heat them up quickly. They’re individually wrapped, so you can cook as few as one or as many as you please. All natural chicken, raised with no antibiotics, and they are minimally processed…..I like that! 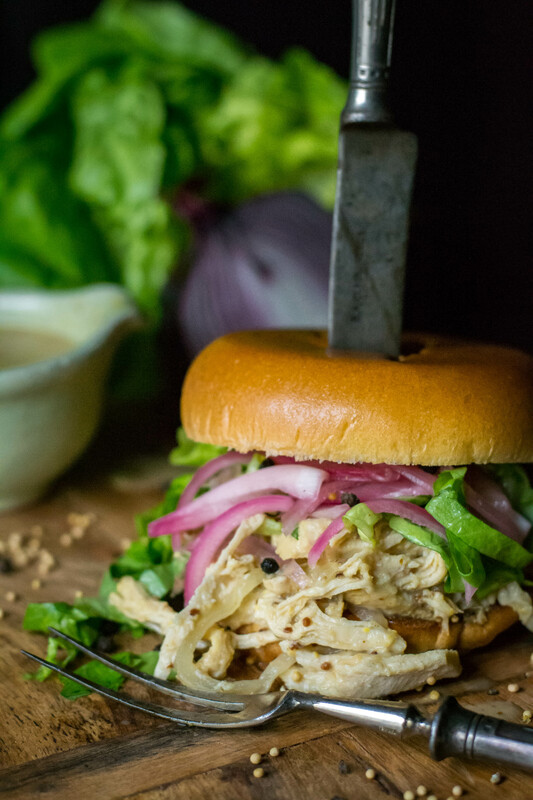 We try to buy organic as much as possible, and use meats that are raised with care, and without all the yucky stuff. You all know that I love to grocery shop, and get many of my ideas while just tolling around the store. That’s how I stumbled across Gilbert’s Craft Sausages. The sausages were the inspiration for the salsa. It was just bonus that the salsa worked so well with other dishes as well. No big mystery on the recipe here……we grilled the sausages….it took all of about 5 minutes…. I toasted the buns (personal preference)….then heaped on the Fresh Pineapple Ginger Salsa. Dinner was ready in under 10 minutes. 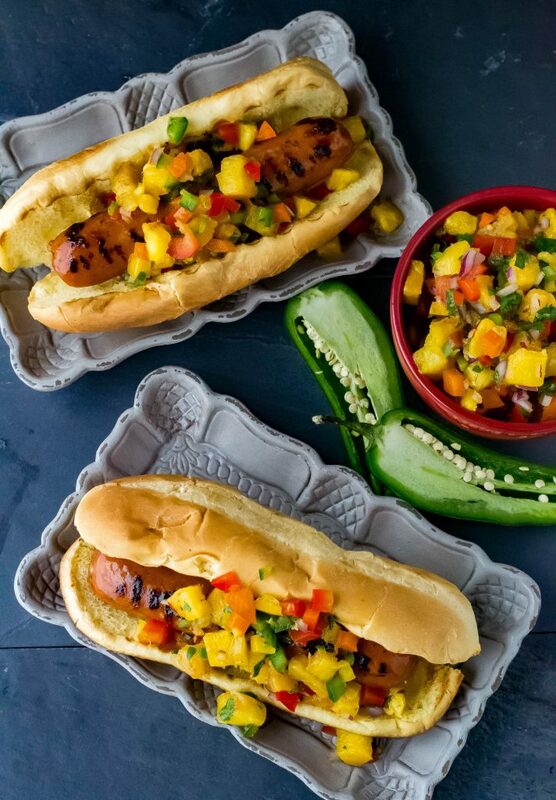 We had chips with ours, but have whatever grill/picnic sides you and yours enjoy! 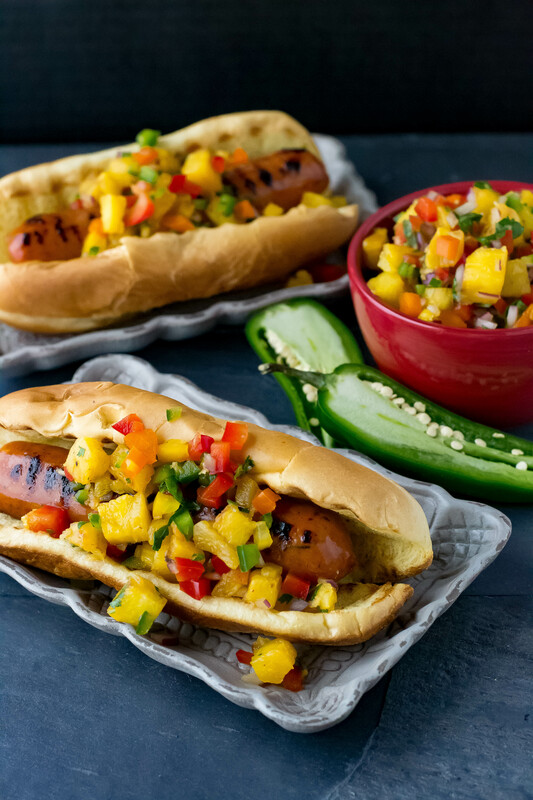 For a quick easy taste of the tropics try our Grilled Aloha Chicken Sausage with Fresh Pineapple Ginger Salsa! Grill/cook sausages according to the package directions. Serve with chips or desired sides. 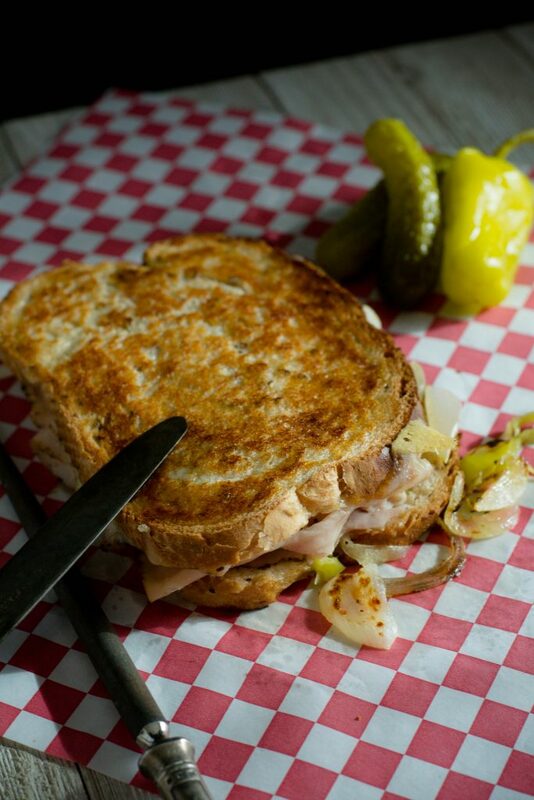 This is the story of Grilled Turkey Pepperoncini Melt.